Event Photographer | 15 Business Cards Designs That Will Make You Dial a Number! 15 Business Cards Designs That Will Make You Dial a Number! Next: 13 Most Interesting And Funny Sleeping Positions From Cats! 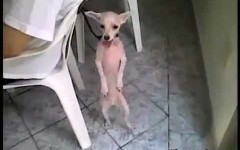 This Dog Can Dance Salsa Better Than Me!